As you might expect, March is a particularly busy time for O'Toole here in the DC area! Whether you're looking for Irish music for your pub, private party, festival or community event, he can help make your St. Patrick's Day event bring out the Irish in everyone! He's now booking live Irish music at 2019 St. Patrick's events, so be sure to inquire about Steve's availability for your St. Paddy's day (month!) event. ​Steve plays popular Irish pub songs regularly at DC area pubs and wineries from Northern Virginia to suburban Maryland including O'Sullivan's in Herndon, O'Malley's in Sterling, James Hoban's in Dupont Circle, Nanny O'Brien's in DC, Murphy's in Alexandria VA, O'Faolain's in Sterling VA, The Limerick Irish Pub in Wheaton MD, Hunter's Run Wine Barn in Hamilton VA, John Barry's in Annapolis MD, and more (see logos below). O'Toole is an Irish musician who's engaging, and interactive with the crowd and we get everyone staying for the music while enjoying the drinks and food of the host venue. ​What better way to say “happy birthday” to a husband, wife, mother or father than with the Irish music they love most? 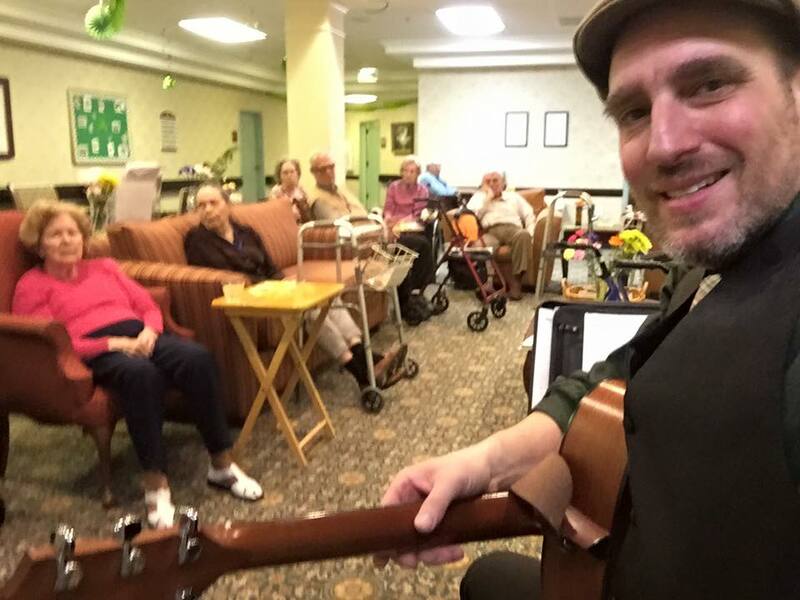 Steve has performed at major milestone birthday parties – whether a 50th, 70th or anywhere beyond or between, he love to see the face of the guest of honor when he plays Irish music on their special day. Music has a way of instantly transporting us back to a time and place, and for those with long-term fond memories of the Emerald Isle, O'Toole brings your birthday boy or girl back to that special place and time. 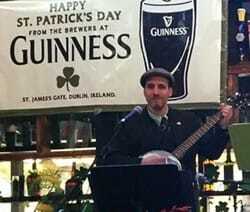 Whether in your living room, on your back porch or at a local bar or restaurant, he brings the Irish music to you. ​O'Toole is honored to have been asked many times to bring the spirit of Ireland to the celebration of life or memorial reception for our clients' loved ones. Whether you're looking for a real Irish wake or just some lovely Irish background music during a reception, he can adjust his sound and mix to suit the occasion. From Harrisburg to Baltimore, and from the Blue Ridge Mountains to the DelMarVA Peninsula -- O'Toole has been asked to perform throughout the greater Washington DC, Virginia, Maryland, Pennsylvania and Delaware area. ​Use the interactive map below to zoom and click on any shamrock to see where he plays near you!